The story of Caracortado, the Mike Machowsky homebred who went from a maiden claiming race at Fairplex Park to Grade 1 company, captured the imagination of many racegoers in Southern California. After a six-season campaign in which he won three graded stakes and hit the board in 15 of 22 starts, a few of the chestnut gelding's fans began emailing the Paulick Report, wondering what happened to him after he left the track in 2014. Kandalaft's love of Thoroughbreds took her to Australia on a two-year visa, but her job with a music company ultimately moved her to southern California. She realized she couldn't walk away from horses completely and began galloping for Machowsky, John Shirreffs, and Simon Callaghan around the edges of her “day job.” Then, a filly flipped on her at Santa Anita during morning training. Kandalaft had retrained a number of ex-racehorses alongside her other jobs in the business and set about looking for another. It was then she learned from fellow rider and racing broadcaster Zoe Cadman that Caracortado was looking for a new home. Although Kandalaft hadn't worked Caracortado during her time in Machowsky's barn (he had long been Cadman's mount), she did know him well. In his race career, Caracortado was known for versatility. He was an early contender on the 2010 Kentucky Derby trail after a win in the G2 Robert Lewis at 1 1/16 miles on Hollywood Park's all-weather surface, but two years later also won the G3 Daytona at six and a half furlongs on the turf. In that race, he sat so far back early, announcer Trevor Denman declared the horse “did not fire today” well into the stretch before expressing surprise when Caracortado came on like a freight train in the middle of the track to win by 1 ¼ lengths. He was also known for having a big personality in the barn. He showed up at the Machowsky barn with stitches on his face, hence his name, which means “scar face” in Spanish. Caracortado was well-known for his love of Skittles candies, his penchant for getting buckets stuck on his head, and aerial acrobatics. Cadman told Kandalaft that he was “like a race car, smooth as silk” to breeze but could be naughty on gallop days. Kandalaft was undeterred by the gelding's sense of humor, but her injuries have held her back from getting him going fully under tack. She underwent surgery on her leg to repair damage from her accident, then learned she was pregnant, and after delivering her baby, had to have another surgery to repair a muscle hernia in her leg. In between her recoveries, Caracortado managed to rip his shoe off the problematic foot, tearing part of the hoof off with it. A few months later, an abscess in the same foot set him back again. Now, she hopes, they are finally back on track. 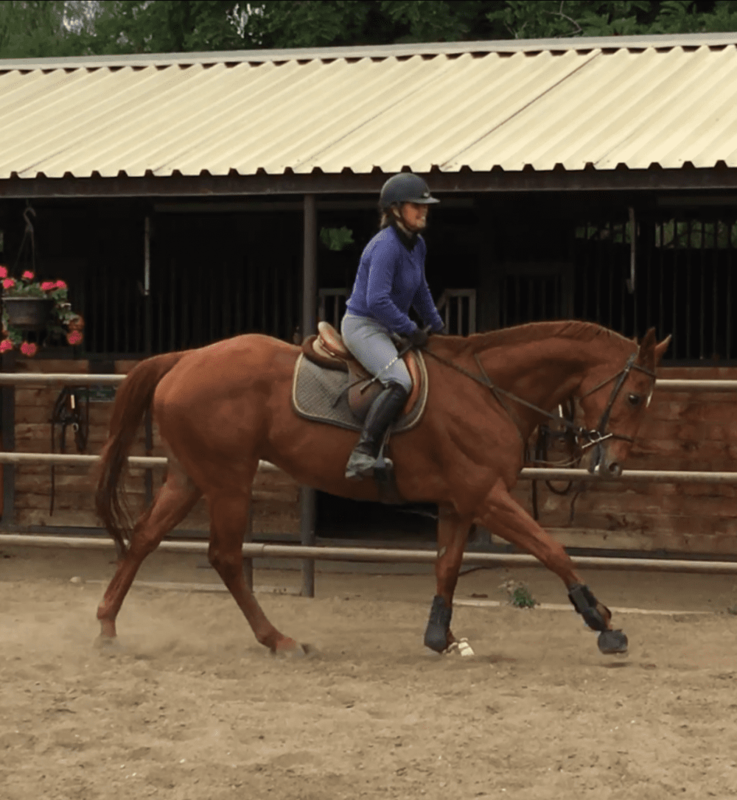 Kandalaft has worked with Caracortado on the ground and has high hopes for his potential as a dressage horse. 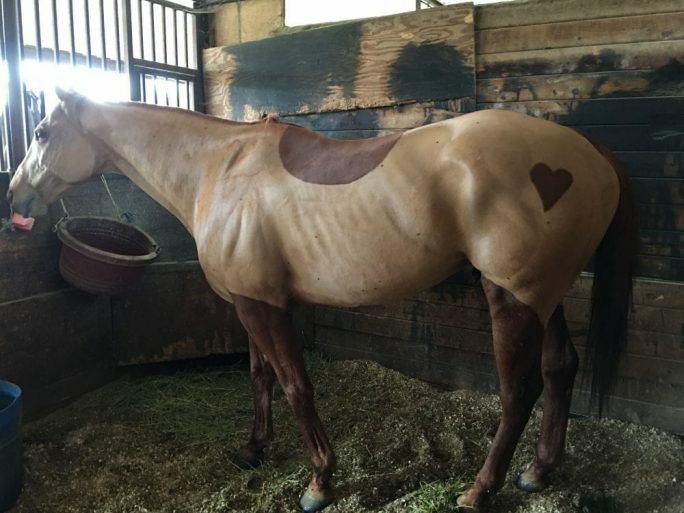 While she has recovered from her last surgery, he has begun training with Janie Steiner in Chino, Calif., and is showing promise and enthusiasm for his new job. 'Cara,' as Kandalaft calls him, started crossrails recently with Steiner and she hopes they will both make their showing debut at the end of this year. Like any true horse addict, Kandalaft has not kept away from the barn. The extra time on the ground has helped her appreciate Cara's vibrant personality. 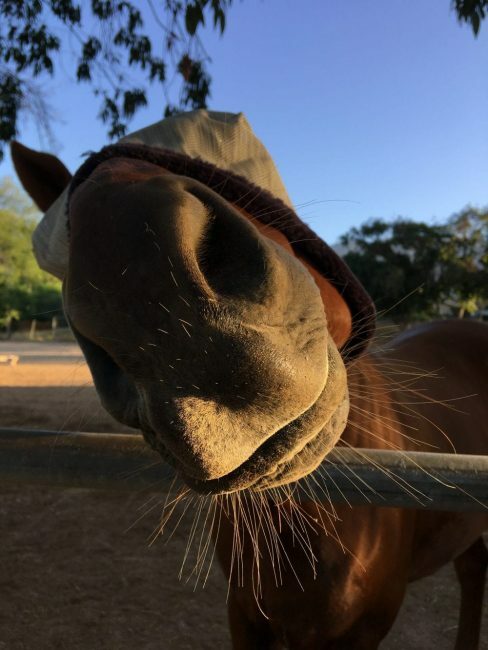 This entry was posted in Lost And Found, NL Article and tagged california racing, Caracortado, Horse Racing, jacqueline kandalaft, Lost And Found, Mike Machowsky, OTTBs, Paulick Report, Thoroughbred aftercare by Natalie Voss. Bookmark the permalink.